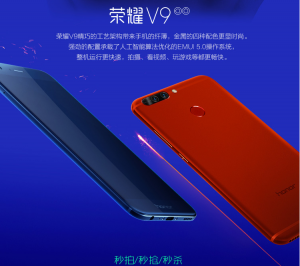 Huawei’s side-brand Honor has launched a new smartphone in China, the Honor V9. 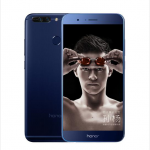 Honor is known for offering great bang-for-buck in its devices and the Honor V9 is not an exception: their latest flagship packs pretty impressive specifications while still maintaining a competitive price point. The device comes in multiple storage variants with price starting at ¥ 2,599 ($377) for the base variant. 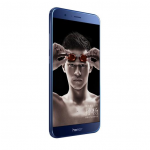 Specification wise, the Honor V9 sports a 5.7-inch QHD LCD screen covered in 2.5D glass. 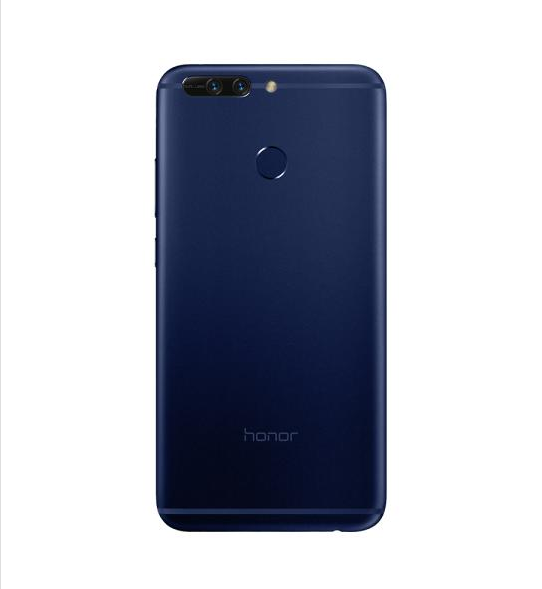 In the camera department, the device features two 12MP f/2.2 cameras on the back with an implementation similar to what we have seen in the Honor 8; the device utilizes one monochromatic sensor and one RGB sensor which according to company allows for improved low-light performance. As for selfies, the device has an 8MP f/2.0 front camera. Under the hood, the device has the same powerful HiSilicon Kirin 960 octa-core SoC which powers the Huawei Mate 9, with four Cortex A73 cores clocked at 2.4 GHz frequency and four Cortex A53 efficiency cores running at 1.8 GHz frequency. 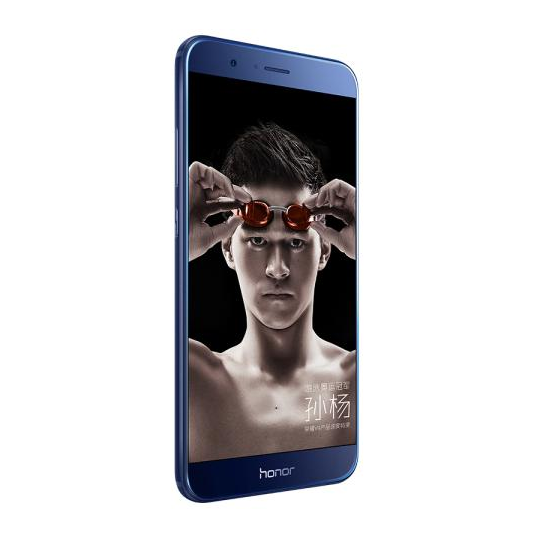 On the software side, the Honor V9 comes preloaded with Android 7.0 Nougat-based EMUI 5.0 out of the box. 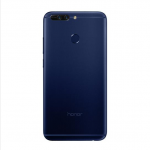 Lastly, the device comes with a 4,000mAh battery, a rear-mounted fingerprint sensor, Bluetooth 4.2, NFC, IR blaster, USB-C port and, luckily, 3.5 mm headphone jack. 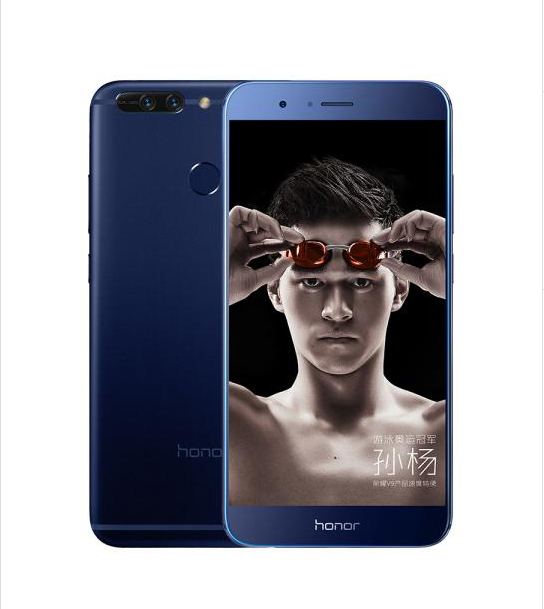 As for the pricing, the Honor V9 costs ¥ 2,599 ($349) for the 4GB RAM + 64 GB version, ¥ 2,999 ($435) for the 6GB RAM + 64GB model and ¥ 3,499 ($510) for the 6GB RAM + 128 GB model. 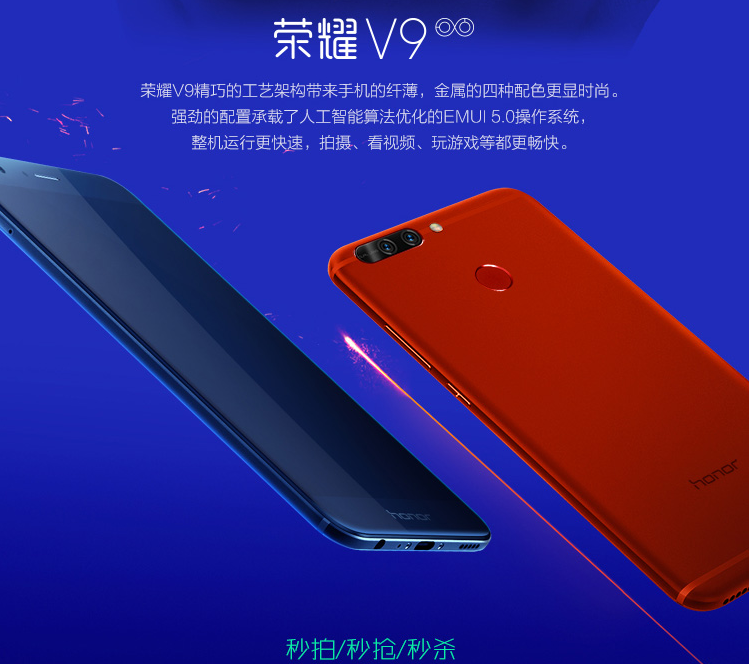 The Honor V9 will be available in four color options to choose from: Midnight black, Flame Red, Platinum Gold and Aurora Blue with sales officially starting from February 28 in China. Unfortunately, the company didn’t reveal when, if ever, the device will make its way to other markets.